A diagnosis of ALS (Amyotrophic Lateral Sclerosis) is one of the most tragic situations a family will ever have to face, with enormous emotional, psychological and financial implications. This fatal disease is characterized by progressive weakening of voluntary muscles, which produces an irreversible decline in the ability to walk, talk, swallow, and breathe. The average survival for someone affected by ALS is three to five years after diagnosis. 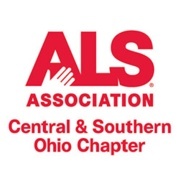 The ALS Association Central & Southern Ohio Chapter provides care and services at no charge for more than 360 people with ALS and their families each year, and advocates on behalf of people with ALS to positively impact public policy, legislation and research funding. The gift from the Cincinnati International Wine Festival has helped make these services possible. When Bob Thieman was a boy in northwestern Ohio, he would go with his father to visit his ailing grandfather. Bob credits his love of history to those days when he would study at the bedside, listening to his grandfather, a self-educated farmer, who seemed to have the answers to everything. One day Bob asked a difficult question: “Grandpa, will you die from this disease?” The elder man responded, “Yes, I will. But you won’t have to worry about it. President Kennedy said we’re going to go to the moon, and if we can go to the moon, they’ll be able to cure ALS.” Fifty years later, Bob got the diagnosis his grandfather thought would never come: ALS. Before his diagnosis in 2013, Bob had been a successful businessman, working as an executive and owner in the packaging business, and co-founding other businesses. These days, Bob continues to work as much as he can as a partner in a waste-to-energy technology company. But as ALS progresses through his body, it slowly robs him of his mobility and voice, making the work more difficult and less frequent. Bob and his wife Ellie were informed about the Chapter not long after his diagnosis. Now, they are regulars at the monthly support group meetings, where presenters and other people with ALS learn more about the disease and share helpful hints for dealing with doctors, employers, friends, and relatives, as well as practical advice on day-to-day living with ALS. Through the Chapter’s equipment program, Bob has received a wheelchair and ramp to help him get around more easily and retain as much independence as possible. In May, Bob and Ellie joined Chapter staff and others with ALS at The ALS Association’s annual Advocacy Day and Public Policy Conference in Washington, D.C. The Chapter underwrites all the expenses for patients on these annual trips so they can meet with Members of Congress to raise awareness of ALS, and help advance legislation to improve the lives of people with ALS and speed the fight to find treatments and a cure. In July, the chapter held its 14th annual Strike Out ALS™ event at the Cincinnati Reds game. This special event is hosted by the Chapter to bring attention to the disease and the need for additional financial support. This year, Bob was honored in a pre-game program where he threw out the ceremonial first pitch. Until there is a cure, The ALS Association Central & Southern Ohio Chapter will continue to provide compassionate care and services every day for Bob and others like him, thanks to the support from the Cincinnati International Wine Festival.